We'll be in Las Vegas in under 2 weeks, for about 3 days. This will be our 4th time there so we've seen alot of Vegas already, but one show we NEVER tire of and see EVERY time is Terry Fator, so we're looking forward to that one again- and we'll be with Ria and her fiance Chris too- so that will be their first time to see the show- and I KNOW they are going to love it! We'll be staying at a RV campground near the strip, and Jakey will be at doggy daycare when we're busy doing the seeing and doing during the day. Ria and Chris will be busy at a diving trade show so we'll only have the evenings with them. So what what can one see in Las Vegas? 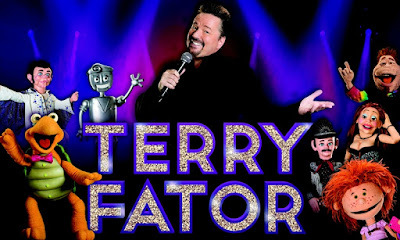 "The 2007 America's Got Talent winner Terry Fator does "The Voice of Entertainment" Live show in Las Vegas at the Hotel and Casino The Mirage. If you want to have a good laugh while in Las Vegas this is the place to be, with a Live band to back him up, the show is very lively and fun filled. The shows run Monday to Thursday at 7:30 PM, though general tickets available for his show the other option to book the tickets is the Terry Fator MVP package, where you can experience Terry and all his characters from the best seats in the theater. This is a MUST SEE readers so please do this show!" "Except for Medical student, most of us have never seen a real human body from the inside. Until now I had never thought that it was possible to see a real human body from the inside either, i.e, a body that shows the internal organs and muscles etc. Bally's Hotel and Casino in Las Vegas has an exhibition called "Real Bodies" which exhibits real human bodies. 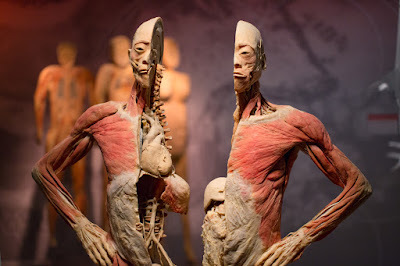 It is one of a kind experience, here you can see real human specimen's that shows how our internal parts work. The exhibition shows how all the systems inside our body actually works and looks like, it is fascinating to see it and learn about our own body. The exhibition is open from 10 AM every day with General admission at $24.95+ Fee and Children tickets at $15+fees"
"Everyone who has ever been to Las Vegas has been to the Strip, but only a few minutes away from the buzzing Strip is a sanctuary for the big cats. 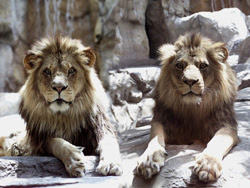 The Lion Habitat Ranch is a lion sanctuary where you can have an experience of your lifetime. At the Habitat you can take Behind the scene tours, Feast with the beasts or feed Ozzie the Painting Giraffe. The lions in the habitat are very well taken care of and have a nice bonding with their caretakers. The Habitat educates the community about African Lions and supports the effort of conservation of the Lions in the wild." "If you are in Las Vegas and want to do something other than Gambling, or if you want to learn how to shoot or just want to practice shooting you should check out The Range 702. Depending on what kind of experience you want, you can choose different packages from the list they have, the range will provide you a wide variety of guns to choose from (depending on the package chosen and availability of the guns). The Range 702 even have a package for inexperienced Female customers, they also have classes that you can attend to learn more about guns or to learn about the process and legal matters on how to a permit to carry Concealed weapons. " 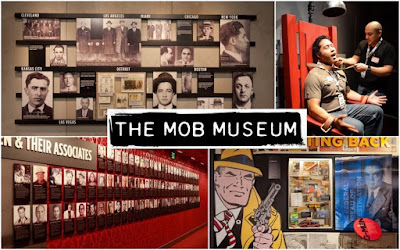 "One more interesting place to visit while in Las Vegas is The Mob Museum, it is a National museum that tells us the true stories of Organized crimes and Law enforcement's throughout the American history. There are hundreds of artifacts throughout the museum which adds a great impact to the stories being told. Apart from learning about American mob history, you can also take pictures for souvenirs, by standing in a line up as a convict. You stand with other visitors behind a one-way mirror to get your pictures taken, which is really fun. Or you can buy your souvenirs from the retail shop in the museum. Apart from their regular exhibitions, there are several events that are planned for the month, so be sure to check the upcoming events for the month before you visit the museum. 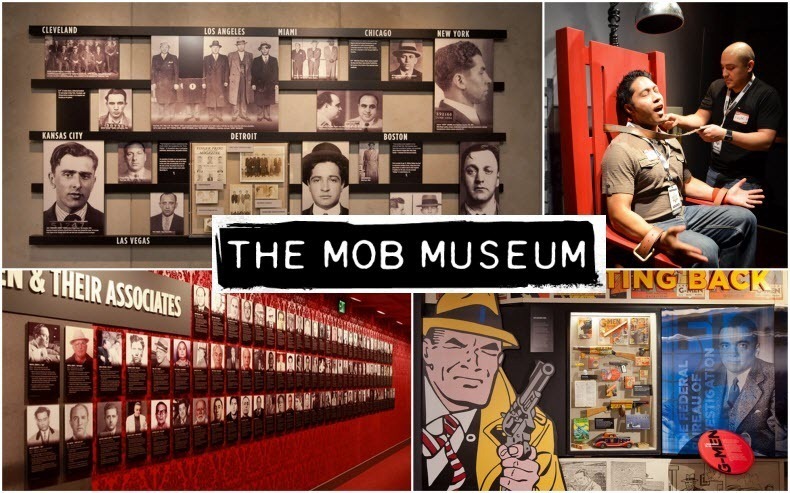 Spending the day in the Mob museum is fun and a very different way to spend time in Las Vegas." Well that's a few of the places for sure we'll be seeing and we may even have some more to tell you about if time allows and we get others into our busy schedule. Will there be time for the slot machines? I sure hope so... as those are always fun too!